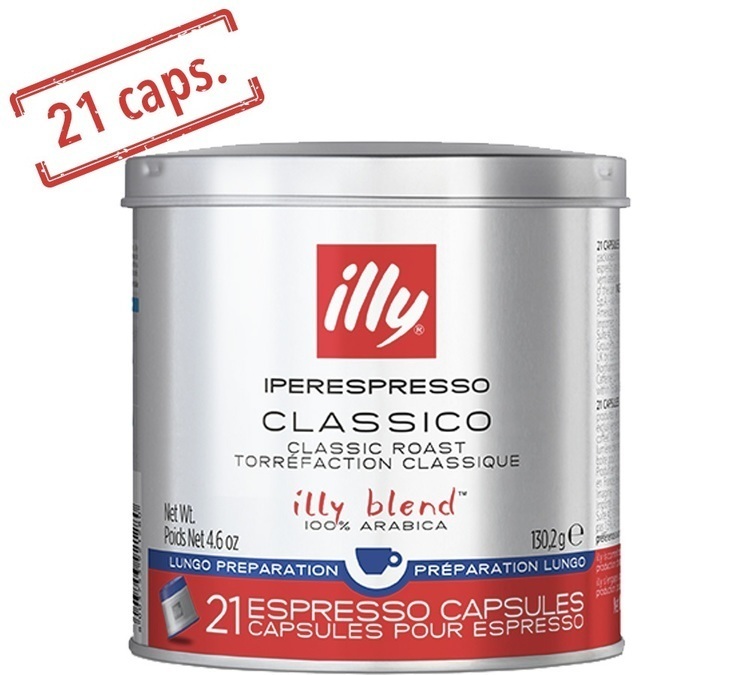 The Illy Iperespresso Classico Espresso Lungo capsules are compatible with domestic Iperespresso machines (X7.1 - Y1.1 Touch - Y5 - Y3 - X8 - Gaggia Iperespresso). 100% Arabica. For a balanced long coffee. Roasted in Italy. 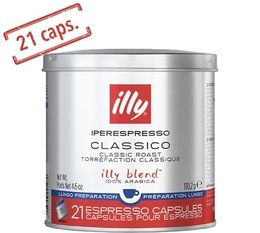 Box of 21 Illy capsules.